How Do I Build a Butterfly Feeder? You probably know that butterflies are attracted to certain flowers, but you may be surprised to learn that butterflies like sweet, fruity treats as well. Butterfly feeders are simple to make and can help attract butterflies to your garden. Butterflies are attracted to over-ripe fruit. Any shallow dish or rimmed plate, such as a pie plate, can be used as a butterfly feeder. A plastic or clay plant saucer also works well. Use string or twine to form a macrame type hanger. Place the plate inside the hanger and suspend the feeder in the yard. 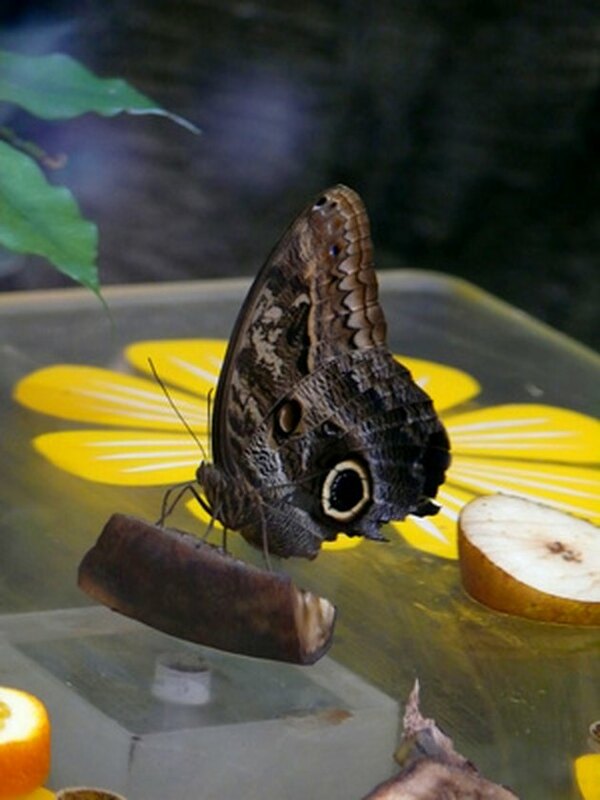 Butterflies are attracted to wet, mushy fruit. Place slices of over-ripe fruit, such as watermelon, cantaloupe, oranges, peaches or pears, on the feeder. According to the New Jersey Audubon Society, for a special treat, freeze peeled bananas before serving. When the bananas thaw, they quickly turn into a sweet, liquid mush that butterflies love. Change the food if it becomes moldy. Hang the feeder from a tree limb, or use a shepherd's hook pole designed for hanging plants or bird feeders. Positioning the feeder near trees or shrubs offers protection from wind and predators. Surround the feeder with nectar flowers, such as zinnias and asters, to create a butterfly smorgasbord. What Animals Eat Hosta Plants?